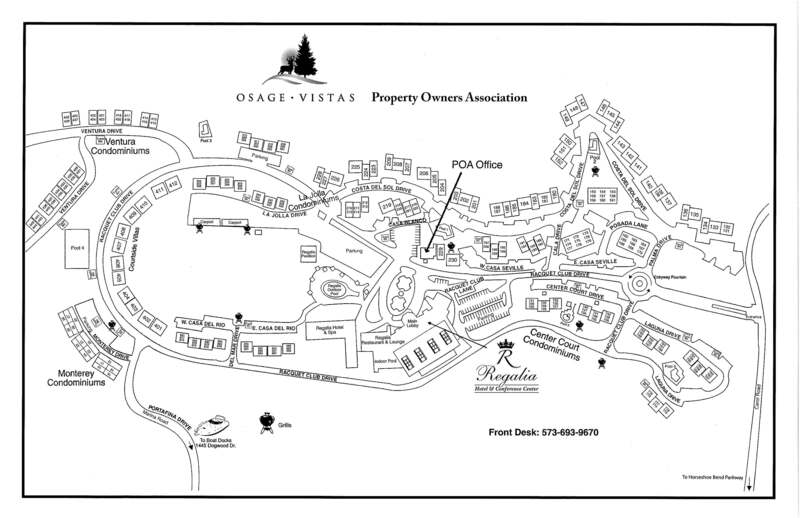 Welcome to the Osage Vistas Property Owners Association (POA) community web site. This site is designed to provide communication to our owners regarding: Association news, meeting notices, documents pertaining to the association and general information about the property. Some information provided is for owners only and is password protected. What sets us apart from other condominium communities? Osage Vistas is dedicated to providing great service to our owners. If you have a concern about your unit or services, please notify the office staff as soon as possible. Our condo community offers twenty–three professionally landscaped acres of hill top beauty overlooking the Lake of the Ozarks. There are six outdoor pools for owners and their guests. The marina on property is available for slip holders and there are three slips available for short-term rental to owners and their guests thru the POA office. We also offer an owners’ clubhouse on site. 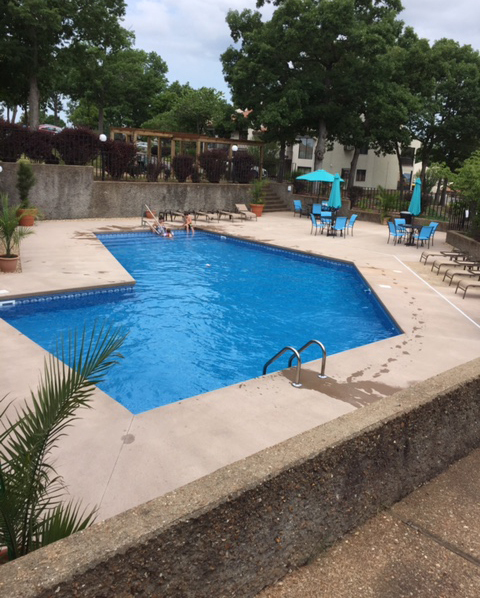 Osage Vistas owners are members of the Four Seasons Lakesites Property Owners Association Inc. and as a result our owners have access to a variety of quality amenities and facilities offered by them. The POA is self-managed by a Board of Directors (all owners) with a full-time Executive Director and staff (office personal, maintenance and housekeeping). 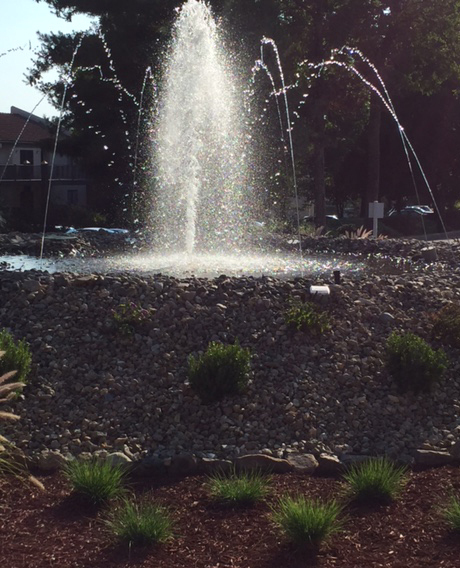 Our community is fully developed and includes 256 condominium units that have two to three bedrooms. Some units include decks/patios, fireplaces (for Duraflame type paper logs only), screened porches, and garden tubs. There are multiple style units including villas, and one- two- and three-story buildings. We do not have elevators in any building. The unit locations provide a variety of views and privacy. In addition to whole unit ownership there are some units that are owned by multiple owners. These are referred to as fractional, timeshare or interval estates. These units allow each owner to spend a scheduled 3, 4, 5 or 6 weeks each year in our condo community. Our owners have an opportunity to become members in vacation exchange networks like RCI and Interval International which allows them to enjoy resort vacation exchanges at destinations around the world. The Board of Directors meets about nine times during the year in addition to the annual owners’ meeting (which is held on the second Saturday of October). Owners are welcome to attend any and all board meetings. We are open 8:30 AM to 5 PM every day. Call ahead for holiday schedule. Copyright © 2019 Osage Vistas Property Owners Association. All Rights Reserved.